Stake your claim on the vision you deserve. See if you are a candidate. A comprehensive evaluation for LASIK is free. If you are a good candidate you can deduct $500 off LASIK until December 31st. 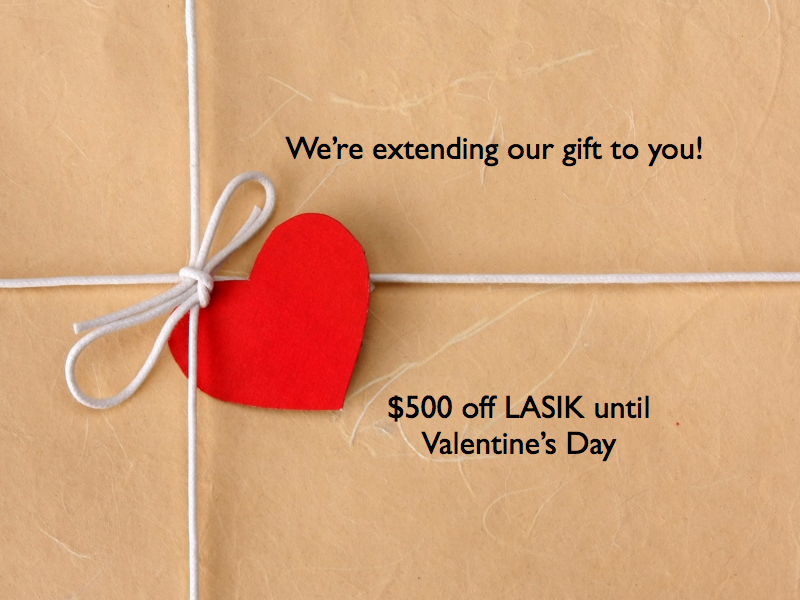 Or think about gifting LASIK to your loved one. We’ll create a gift certificate in time for Christmas.